At its Find X event, where Oppo revealed the price and availability of the Find X and its Lamborghini Edition, Oppo also announced the O-Free wireless headset. The two truly wireless earphones are said to be very compact and come in Black with either Copper Blue and Bordeaux Red accent color. The O-Free Wireless Bluetooth headset supports TrueWireless Stereo which synchronizes the left and right earphone perfectly with the phone's streaming. The chip inside is a Qualcomm QCC3026 SoC. 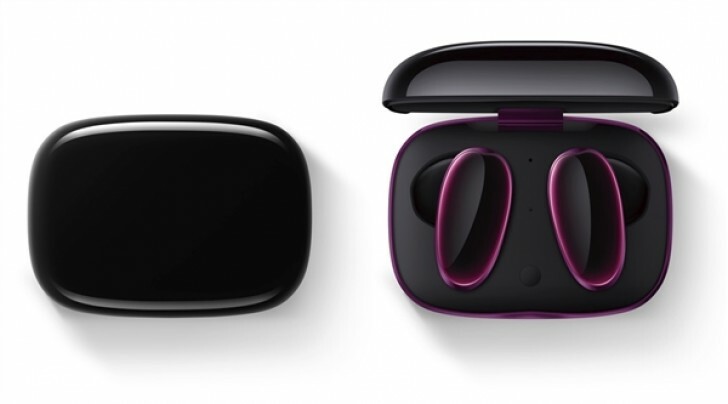 What's more interesting the O-Free supports voice translation (no details on supported languages at the moment) similarly to Google's Pixel Buds, and wake up voice assistance and music control. 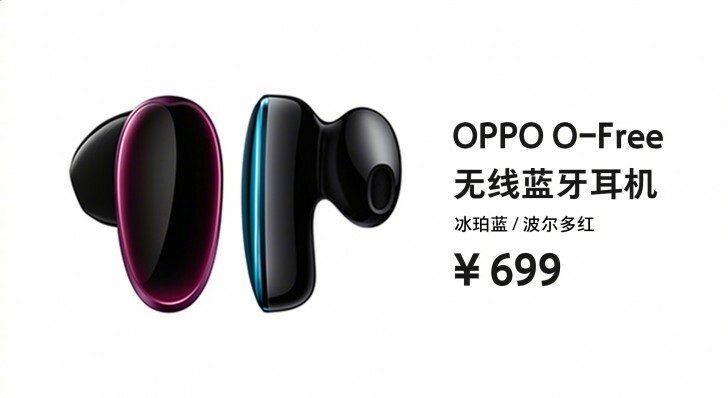 The O-Free earphones will come bundled with the Oppo Find X Lamborghini Edition and individually for CNY 699 (€90). They'll go on sale in August in China. They come bundles with the Lamborghini edition.... I wonder if I buy a Lamborghini, would I get the phone and headset for free? I suppose, though you could just use one at a time. Why make them look like cockroaches?